If you are looking for a creative fundraising activity or in need of a donation for a fundraising event, we are the place! We offer several ways we can help your school, church, or other non-profit organization raise funds. Host a Pottery Painting Fundraising event right at our studio where we do all the cleanup including Private Events on Sunday or Monday evenings or your organization can host a “FUNdraising Week” where customers walk in to our studio to paint pottery during a prearranged specified date period. Pottery Piazza will give back up to 20% of the net sales from these events. 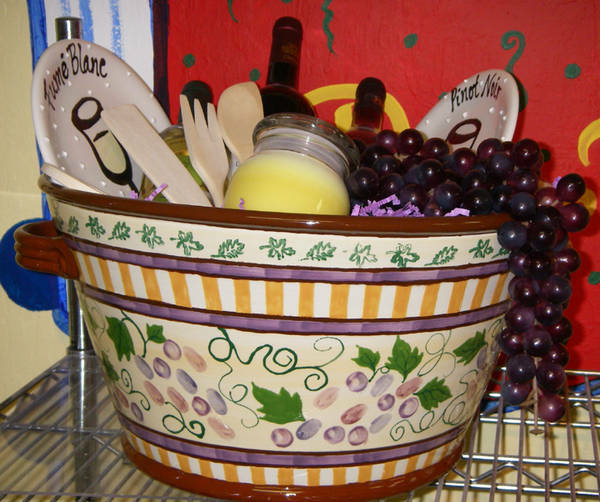 We can also host an offsite Pottery Painting Fundraiser at your church, school, or other location. We even arrange fun themed pottery painting parties such as Holiday Ornament Painting or Tile Painting for a Legacy Tile Wall Installation. With offsite events, we can help you determine the appropriate mark up so that you can earn the funds you need for your organization. If you are hosting a silent auction and you are looking to paint your own pottery and present the finished piece as one of the auction items, Pottery Piazza will gladly donate the painting, glazing and firing fees when you purchase pottery to paint (Available for up to 4 pottery pieces per event. Custom design work is excluded). You must present a valid tax exempt certification and donation letter request for your organization when arranging the free paint time sessions we will donate as well as arrange a time to come in and paint it during regular business hours. Please complete the form below and mention your request for donated paint time fees with purchase of pottery and a manager will contact you to arrange your painting date with us. Alternately, if you are looking for a simple and easy donation to your fundraiser, Pottery Piazza happily donates studio certificates toward Pottery Painting Experiences to all local non-profit organizations with a valid tax I.D. provided we receive a formal donation request. Requests for donation can be submitted directly online and we will contact you once we receive your request to arrange for pick up of the certificates. Thank you for your request for a donation from Pottery Piazza. We will respond to your request shortly.